Starting October 5th, we will be taking orders for t-shirts and zippered hoodies. To order, please stop by the library to pick-up an order form. Return to Sweetwater County Library by October 15th. Orders can be picked up starting October 23rd. Unfortunately, I have been unable to post a photo of the new design. The SCL logo will be on the left front side and the above Ghost Walk logo will be on the back. For more information, please call or stop by the library. Somehow it never fails. I was telling someone just this week “The ghosts have been quiet”. Well, that will teach me. As most of you know, we are a haunted library. One of the most asked questions is “Anything happen lately?” Many times our response is that not much has been happening. 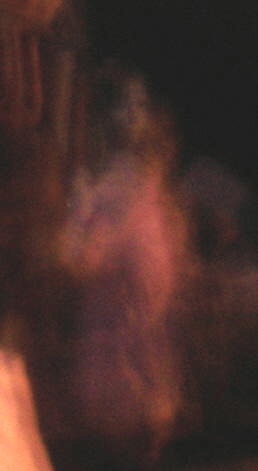 Spirits seem to be on their own time and let us know they are around, if and when they choose. You really have no idea when you will hear a voice or see a shadow. It always seems to happen when you least expect it. Today was one of those days. I will have worked at the Sweetwater County Library 23 years on September 2. From day one, I have had things happen. At first, it was little things. Noises, smells, that kind of thing. Slowly as I worked more hours, more happened. I used to feel odd walking into the building knowing that I might be walking were bones could possible still be found. I would say a little mantra as I entered “Forgive me for crossing, but I need to get to work”. I may sound silly to some, but in our family you showed respect for the dead. As time passed I stopped saying this and assumed they were used to me by now. This seemed to be the case. The spirits started letting themselves be known more often. I was not someone who had this type of thing happen often. This was unusual for sure. Before long I asked to start the Ghost Log. I almost felt they wanted me to tell people they were still here. I am glad we have done this. Many patrons and visitors alike have recounted stories of seeing spirits, hearing whispers, smelling lilies or lilacs, etc. This all is what we have here. We do our work as usual but they join us now and then. Please know I have never felt anything menacing here. I have had very few people say they have had something negative during these years. One was a little girl that saw a means face in the Lady’s Room. It is believed that a substitute worker also saw the same “old lady” in the restroom some time ago. They are the only two to ever see her that we know of. One lady a couple years ago said “There is a man here that doesn’t like me”. I am not sure what that means. Does he not like her in general or her hair, her speech, what? We have no idea. We try very hard to get along with the ghosts here. We believe we have men, women and children joining us from the beyond. Once a dog was heard barking. We know so little about those passed. Here at the library we continue to do Ghost Walks with the hope we will learn more with each tour. 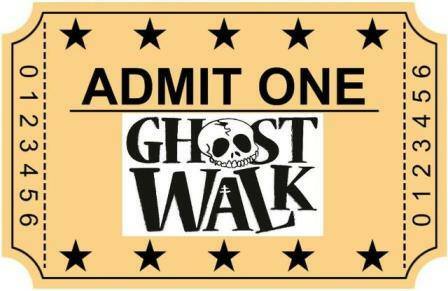 The next Ghost Walk will be for Saturday, October 24th. TICKETS GO ON SALE OCTOBER 5TH at 9am. Tickets can be purchased in person or by calling by phone to 307-875-3615.